Malaysia government has implemented a tighter dust emission requirement; the new requirement will be fully implemented start from June 2019. Many palm oil factories which installed with biomass boiler are all required to improve their dust emission control fulfilling this latest requirement. In Skill Energy, we have encountered some inquiry about new emission standard. To our experience, we agree biomass boiler is emitted higher dust content as compare to Natural Gas and Electrical Boiler. In this article, we try to elaborate the some key substance and quantitative about biomass boiler dust discharge. There are more than 2000 palm oil mill factory throughout Malaysia. Every palm oil mill is equipped with its own biomass boiler for supplying steam and power as palm oil process needs. The dust discharge to the environment is enormous and this has created great burden to environment. Palm oil industry has been working very hard to utilize the effluent from the industry, many palm oil by-products have been converted to renewable energy, organic fertilizer, consumable long fiber products. However there is still challenge for improving the dust emission to the air. Start from June 2019, the dust discharge requirement is set not greater than 150mg/m3. The dust discharge is measured while 12% CO2 concentration. Whereby existing dust discharge standard is set at 400mg/m3. From both table, we could identify the key components we should work toward in reducing the dust emission. However in practical situation, the case may varies as user also uses the mixture between Palm Fibre and Palm Kernel Shell with certain ratio like 7:3 or 6:4 depending the heat value they want. The elemental effluent has to be normalized but we leave this part for our engineers. After calculation, we could get the Emission Factor = 0.0342kg-Dust/kg-Biomass. After go through the above calculation, we could roughly understand what are the emitted substance and quantity we should remove before the air discharge to environment. The multi-stage cyclone or electrostatic precipitate device will be designed and installed. Furthermore, Skill Energy will establish set of quality control and monitoring plan to ensure the entire dust emission control system is maintained. 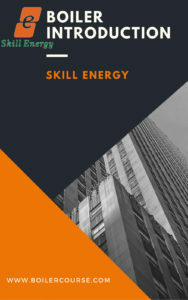 Please contact Skill Energy if you want to clarify anything about boiler and dust collector.